A Mezuzah is two chapters from the Torah written in Hebrew on a piece of parchment. 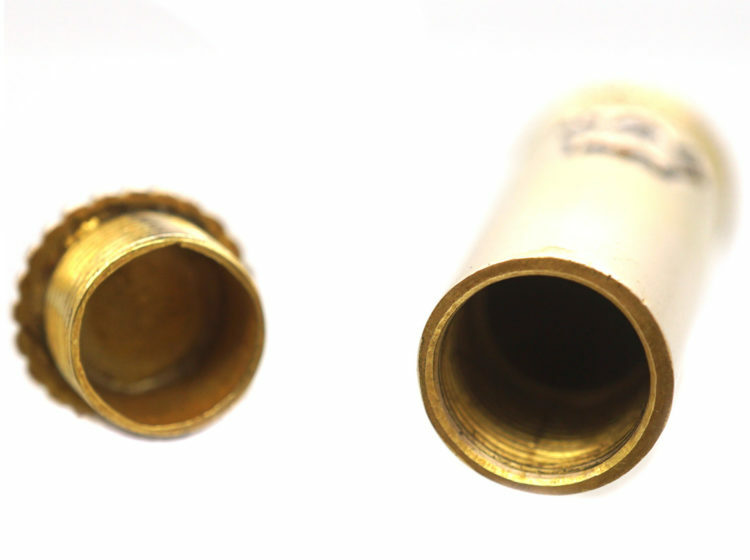 The parchment is then rolled into a scroll, wrapped in paper or plastic, usually inserted into a hard-plastic or metal case, and affixed to the doorpost. 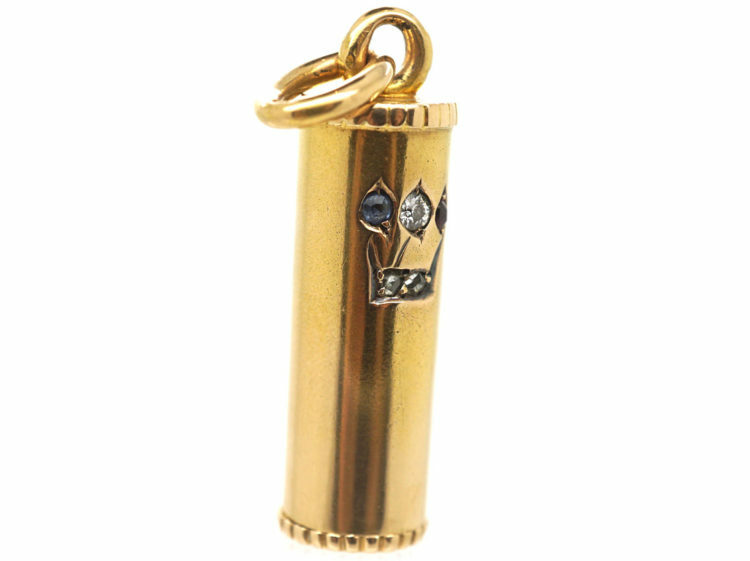 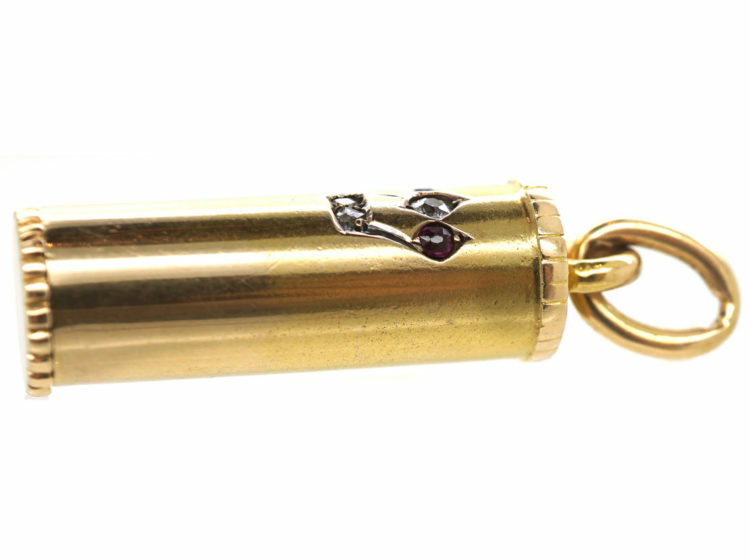 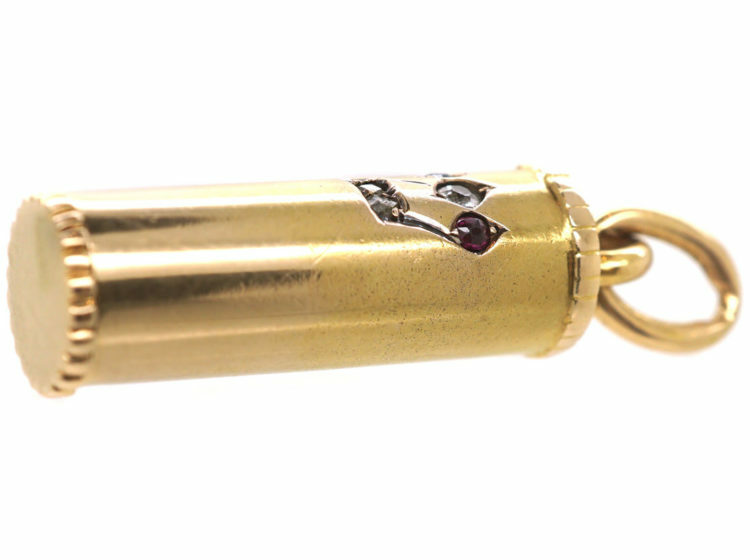 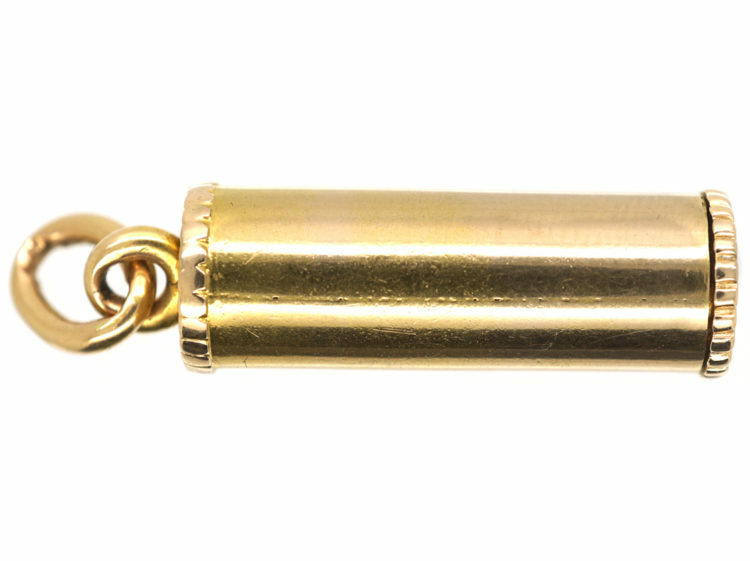 This heavy gage 15ct gold pendant does not have the scroll inside but was made to hold one. 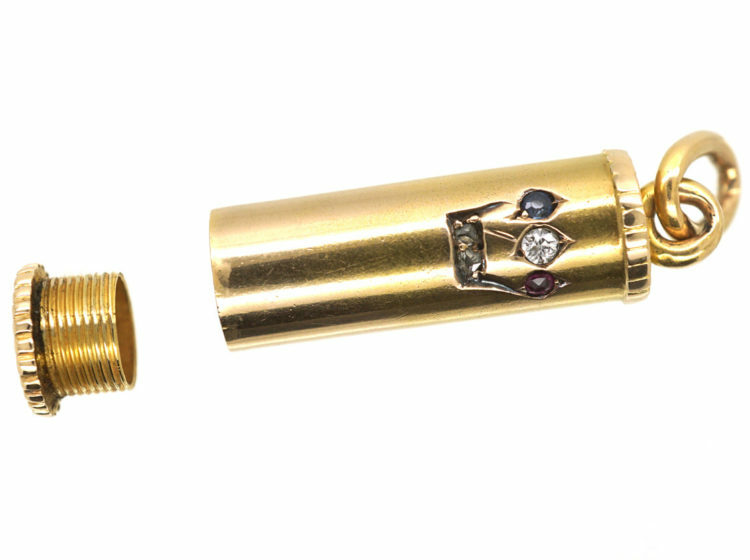 It unscrews at the base. 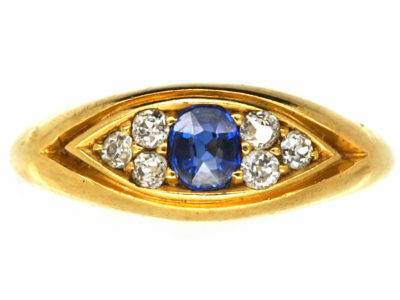 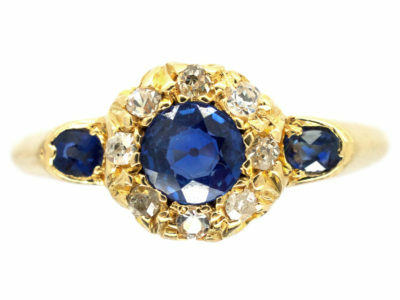 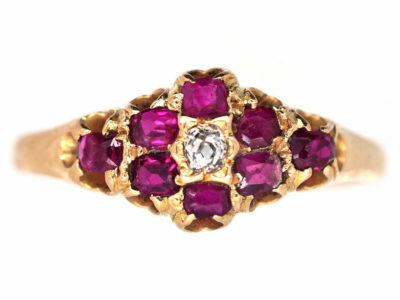 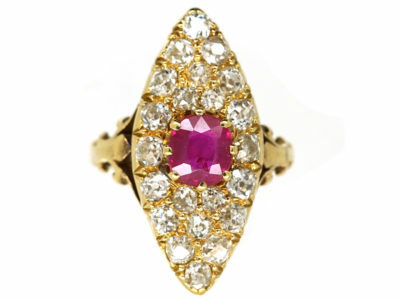 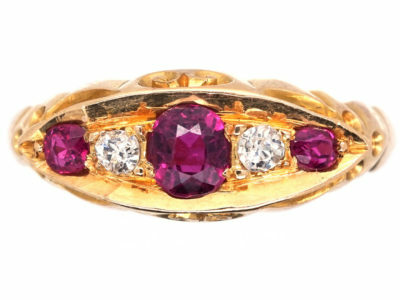 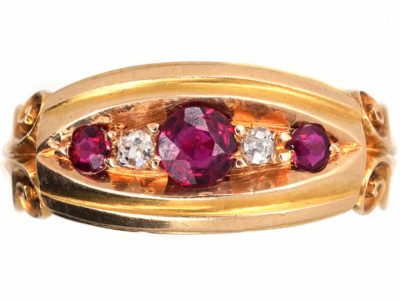 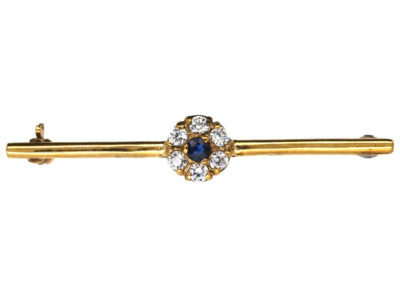 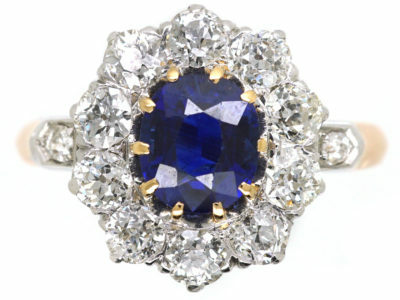 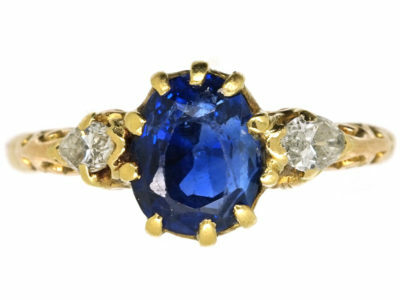 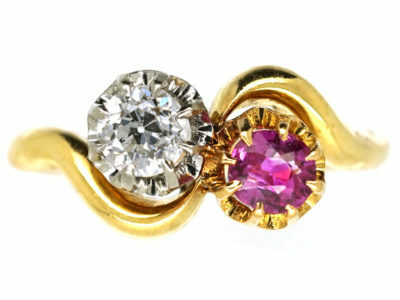 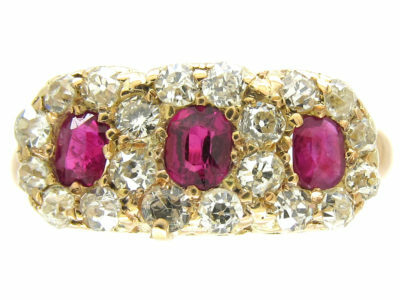 It has the traditional design set with diamonds, a ruby and a sapphire. 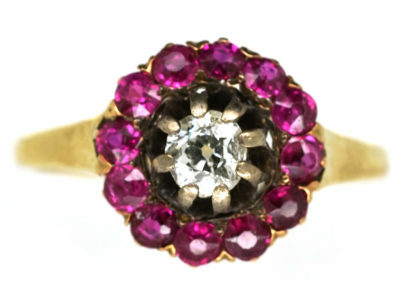 It would have been worn in a Jewish household and was made circa 1900-1910.